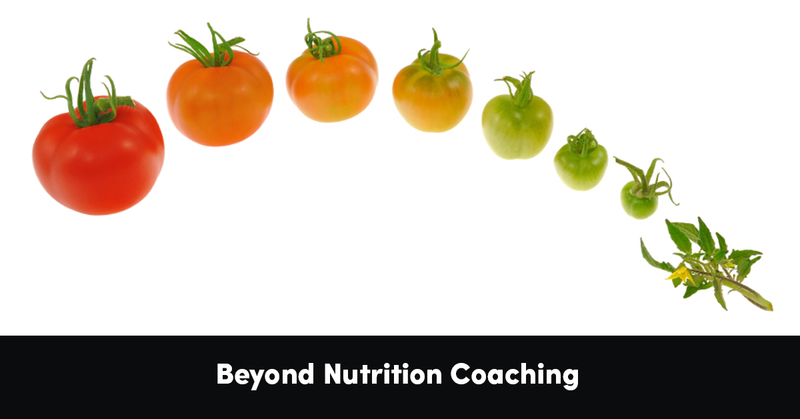 Careers in Coaching have become a big business in the last decade, and few have boomed into the market as much as the “nutrition coaching”. This relatively new field describes those coaching clients towards health-related goals by regulating diet, food choices, supplements, and perhaps even exercise. Our traditional understanding and expectation of this profession, as traditionally concerned with calorie counting, macronutrient math, and food pyramid guidelines, actually describes the career of a Dietician. It’s a well-respected profession that requires several years in school and many clinical hours to achieve and perform well. Yet, every year, numerous experts release new books filled with scientific studies to prove their hypothesis, and such approaches are often in contradiction to every other approach, and people flock to find someone who can help them figure out who’s right and what to eat. And what we hear over and over is that we are What we eat, but few people reverse the context of the phrase and inquire into Who the eater is! Here at the Institute for the Psychology of Eating, we teach that a nutrition coach can be much more than just an architect of diets. We educate our students about the new and incredibly innovative field of Mind-Body Nutrition, which originated with our Founder, Marc David. This groundbreaking area of holistic nutrition explores the fascinating relationship between psychology and physiology, and the ways in which mind and body, psyche and digestion, are interlinked in extraordinarily ways. If you’re enjoying this article, then check out our FREE video guide – The Dynamic Eating Psychology Breakthrough – sign up for it HERE. Mind-Body Nutrition helps people to discover a whole new path to personal wellness by allowing them to build a new relationship with the Eater within. This unique approach combines the science of nutrition and metabolism with the mind and heart of the individual. The only way to achieve a healthier and more joyful life is to include the whole person each step of the journey. Through our Professional Eating Psychology Coach Certification Training program, our students are provided advanced instruction in the field Dynamic Eating Psychology. With our Professional Certification Training, you’ll be provided the tools and methodology to help penetrate a variety of health challenges and eating issues in a far more fulfilling and powerful way than you would with a traditional nutrition coach education. Through your applied studies in Mind-Body Nutrition, you’ll cover similar ground as others interested in pursuing a traditional path to Nutritional Coaching, but you’ll also have access to a number of different areas – from the academic to the psychological, from the scientific to the philosophical. Here at the Institute for the Psychology of Eating, we are committed to staying at the forefront of the ever-evolving fields of holistic nutrition and eating psychology. And indeed, we are equally committed to being leaders in these domains. Mind-Body Nutrition is a new area of study that we have originated, as we are always looking for ways to improve and enhance the profession. Remaining stagnant would only serve to limit the opportunities open to us as an institution and to you as a future counselor or educator. As a cutting edge learning organization, we provide an education that is unique, compelling and effective. Our Eating Psychology Coaches finish their time with us equipped with a firm foundation in Mind-Body Nutrition, and are ready to help those suffering from eating issues, metabolic challenges, and a long list of health symptoms or other unwanted food habits. Choosing to train with IPE prepares you for true success in this field, and allows you to expand your practice and increase your client base by providing a unique window into the mind and body of the Eater. The very basis for the extraordinary field of Mind-Body Nutrition is this idea that the mind and body are inexorably linked and the genesis of the program came more from the revelation that we cannot simply treat a person with a food-related problem by changing a diet. People are far more complex and interesting than that. Instead, we train our students about the essential need to approach each person as a beautiful and dynamic whole – to fully understand a nutritional problem, repair the damage it has caused, and pave the way for a brighter, healthier life. The royal road to accomplishing this is to unite dietetics and psychology into one new and practical discipline. Understanding the inner life of anyone who has a food-related challenge is of the utmost importance when coaching. It’s part of the art of this business. At IPE, we teach that all of our challenges with food and health are doorways leading to deeper understandings of who we are, and ultimately, to healing. We choose to see all eating and food challenges not as mere nuisances to get rid of or deserving our attack, but instead, as powerful opportunities for transformation and growth.